HRH Prince Sultan Bin Abel Aziz was born in Riyadh, in June 1956. He earned a Master’s Degree in Social and Political Science at the Maxwell School of Citizenship and Public Affairs at the Syracuse University, USA. In June 1985, HRH Prince Sultan was chosen to represent Arab Sat – the Arab world’s satellite agency and joined the crew of the Space Shuttle Discovery. Consequently, he became the first Arab to travel into outer space. Shortly afterward, he joined the Royal Saudi Air Force as a fighter pilot, from which he retired in 1996, as a Colonel. HRH is an avid pilot with more than 7000 flights hours recorded. He also holds an Airline transport pilot certificate from the USA, Saud Arabia, and France. He is qualified to fly several types of Jets, Helicopters, and gliders, as well as being trained as a desert and mountain pilot. In 1984, HRH became Deputy Director of the Saudi Media Committee that oversaw the Los Angeles Olympics. 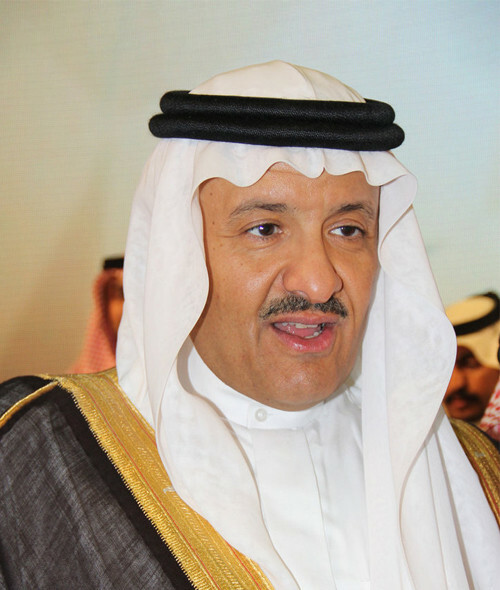 He is currently the President & Chairman of the Board of the Saudi Commission for Tourism & National Heritage (SCTH). As a committed supporter of the underprivileged and disabled, HRH Prince Sultan is active in many charitable and humanitarian organizations.